Argentina wants answers about flights conducted by the British Air Force between Brazilian airports and the Falkland Islands over the last two years, once again calling upon Brazil not to receive British aircraft or ships from the disputed islands. “The [Argentinian] National Directorate of Air Traffic Control informed the Malvinas [Falkland Islands] Directorate that during 2016 at least six military flights were made by the [British] Royal Air Force between Brazilian airports and Mount Pleasant,” a statement from the Argentinian Foreign Ministry said on Wednesday. 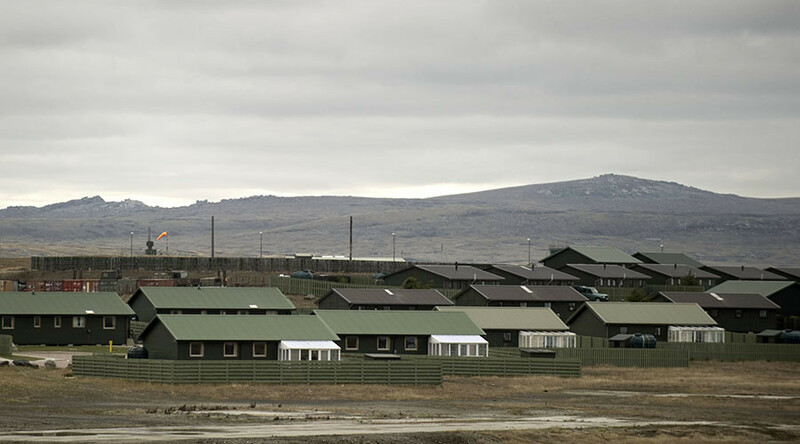 Mount Pleasant, a Royal Air Force station on the British Overseas Territory of the Falkland Islands, hosts over 1,000 military and civilian personnel, according to the British media. Four Typhoon FGR4 multirole fighters are permanently deployed at the base. “The Brazilian Foreign Ministry reaffirmed its support to our country on the Malvinas issue and said that it was unaware of these flights,” it said. The Foreign Ministry in Buenos Aires added that during 2015 there were 12 similar military flights between Brazil and Falklands detected by the Argentinian Air Force. 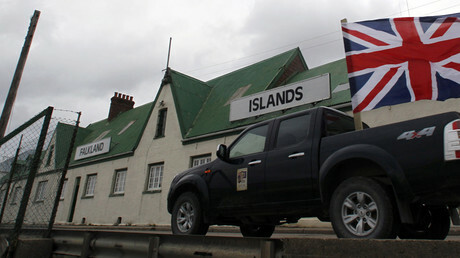 The Falkland Islands are self-governing, but the UK is responsible for their defense and foreign affairs. The territorial dispute with the UK saw the 74-day Falklands War in 1982, when Argentina invaded and briefly occupied the islands located in the south of the Atlantic Ocean. Buenos Aires claims it inherited the Falkland Islands, around 483km off its east coast, after the former colony won independence from Spain in the 19th century, while London says it has continuously administered the territory since 1833. Mount Pleasant base was opened in 1984 to establish a fighter and transport presence in the Islands following the Falklands War. Forces on the base include air defense assets, maritime patrol capability and infantry forces. There are also regular naval deployments to the region and temporary deployments for routine exercises. Argentina has pursued a more cautious approach under current President Mauricio Macri, who was elected in 2015. In September, the countries agreed a series of deals covering oil, fishing, navigation, and trade in and around the islands. However, in October 2016 Buenos Aires lodged an official complaint with Britain’s ambassador over military exercises which took place on the Falklands. British troops were deployed to the islands in October, where they are carrying out tests involving Rapier missiles. Hundreds of Argentines joined protests against British military exercises in the Falkland Islands by setting fire to Union flags outside the British Embassy in Buenos Aires. In December, both countries signed a deal to identify the remaining Falklands War dead from their brief but bloody conflict over the islands.